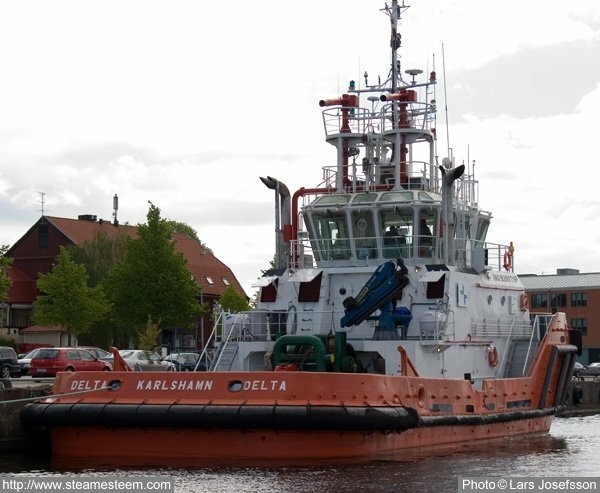 Karlshamns Tugboat Delta is a tug-type ASD, Azimuth Stern Drive which means conventional propellers mounted in nozzles that can be rotated 360 degrees to provide thrust in any direction without a rudder. Such a structure is commonly called Z-drive. The name Z-drive comes from the axis from the engine is horizontal, through-hull is it vertical, then it is horizontal at the propeller hub, axle configuration resembles a Z. 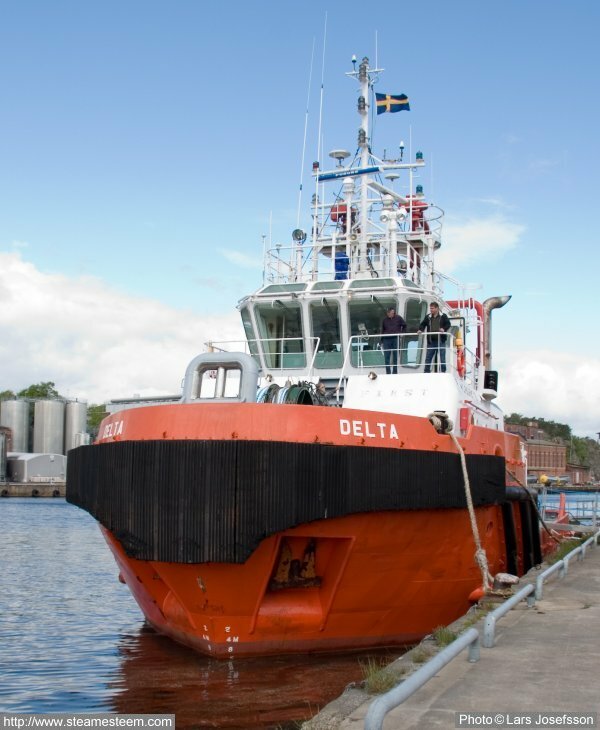 The tugboat Delta is on 329 brutto register tons and it has two diesel engines totally 3600 horsepowers, 26.5 MW, providing a thrust of 45 tons. "Length 28m, beam 9.8m and draught 4m.